Textron’s golf sector businesses, Jacobsen and E-Z-GO, are at the forefront of the industry in Dubai supporting two significant and prestigious golf clubs in the Middle East North Africa (MENA) region – Emirates Golf Club and Dubai Creek Golf & Yacht Club. We talked to Craig Haldane, Courses Superintendent at The Emirates Golf Club and in the first of this two-part article we look at his background in the industry, Dubai Golf – who manage the prestigious clubs, and his turf maintenance regimes. 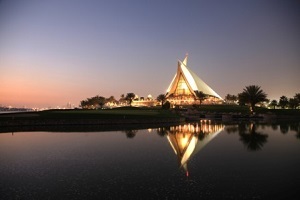 Emirates Golf Club was the first grass championship course in the region when it opened back in 1988. Today it boasts 45 holes of world-class golf on two of the city’s finest courses, the Majlis and the Faldo Course, as well as the challenging Par 3 course with holes varying from 100 to 190 yards. It also features possibly the most iconic clubhouse in the Middle East. Both courses combine the natural rolling desert terrain with lush winding green playing surfaces for a serious test of golf, with the Faldo course being the only 18-hole course in the region to offer night golf. The flagship Majlis championship course is a challenging par 72, 7,301-yard layout. Designed by Florida-based course architect Karl Litten, the original 18 holes were built in and around the dunes of a beautiful site on the edge of the city of Dubai, donated by His Highness General Sheikh Mohammed bin Rashid Al Maktoum, on whose instructions the desert flora was maintained in its natural state. 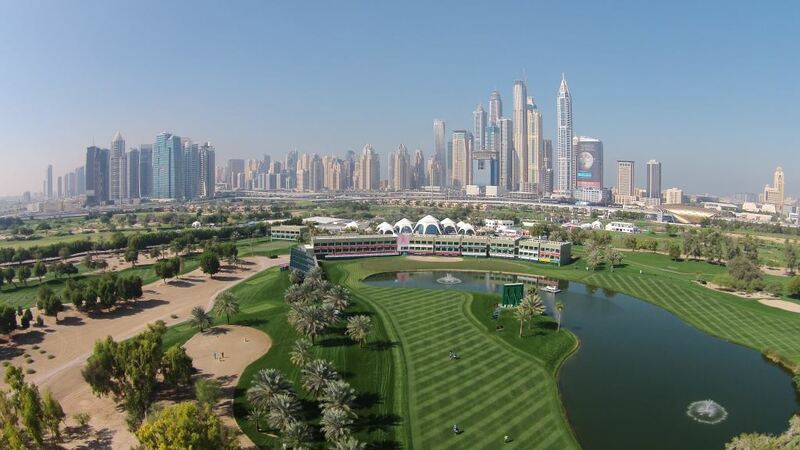 It is the venue for the European PGA Tour’s Omega Dubai Desert Classic and the Omega Dubai Ladies’ Masters. Dominating Dubai’s waterfront, the Dubai Creek Golf & Yacht Club overlooks the Creek and Marina. It opened in January 1993 to world acclaim and since then it has been host to numerous tournaments and events, including the Dubai Desert Classic on two occasions. The 18-hole par 71 championship Creek course measures 6,967 yards and features superbly manicured undulating fairways framed by date and palm trees. The course record of 63 is jointly held by Lee Westwood and Darren Clarke. The 9-hole, Par-3 course was redesigned in 2004 and is ideal for beginners to test their skills before taking on the championship course and being floodlit makes for an enjoyable round of social golf after sunset. The clubhouse design mirrors the sails of a traditional Arab dhow and remains one of the most photographed landmarks since it opened in 1993. Both clubs are managed by Dubai Golf, a leisure subsidiary of Wasl Asset Management Group, one of the largest real estate management companies in Dubai. Wasl operates across many sectors including residential and commercial properties, land banks, leisure and entertainment, hotels and serviced apartments. 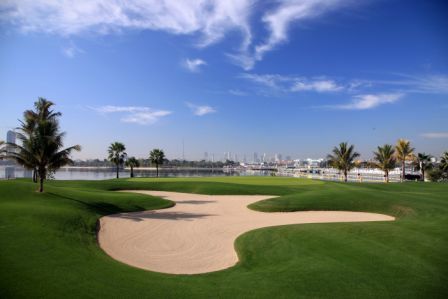 Dubai Golf with its two world-class golf courses and luxurious clubhouses, manages some of the most spectacular locations for golf, events and entertainment in the region. It also manages an online tee time booking system for both Dubai courses, its third course – Almouj Golf – in Muscat, Oman as well as servicing a central reservations office that books golf at all the UAE golf courses. It also provides a wide range of market leading golf and leisure related services including fine dining restaurants, golf academies, recreational amenities and residential developments. In January 2013 Dubai Golf signed a five-year preferred supplier agreement with Ransomes Jacobsen and at the same time signed a maintenance contract with Desert Turfcare, the former Jacobsen distributor for the United Arab Emirates. Craig Haldane is the Director, Golf Course Maintenance at Dubai Golf. He joined the organisation back in 2006 at the then fully floodlit Nad Al Sheba Golf Club situated in the middle of the famous Nad Al Sheba Race Track. A year later he moved to Emirates Golf Club as Golf Course Superintendent, where he has worked for the past eight years. In 2011 his role evolved into Director of Golf Course Maintenance for the group, whilst remaining in charge of the daily activities at Emirates. South African-born Haldane studied Sports Administration and Marketing majoring in Golf at Nelson Mandela Metropolitan University. Part of his studies included a 6-month work placement, which he secured with the Golf Course Maintenance department at Fancourt, the leisure resort at George in the Western Cape. On completion of his placement he was offered a position as Irrigation and Chemical Technician with the opportunity to re-train in Sports Turf Management in Cape Town, whilst working full time. 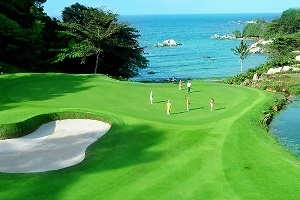 He then moved to Indonesia and took a job as Assistant Superintendent at Ria Bintan Golf Club on the island on Bintan. Following a short stint back in South Africa growing in the fourth golf course at Fancourt, Bramble Hill, he was approached and offered the opportunity to go and work at Riffa Golf Club in Bahrain as Assistant Superintendent. As stated earlier, Dubai Golf signed a preferred supplier agreement with Ransomes Jacobsen early in 2013 and at the same time the decision was taken to outsource the maintenance of their extensive fleet to Desert Turfcare. 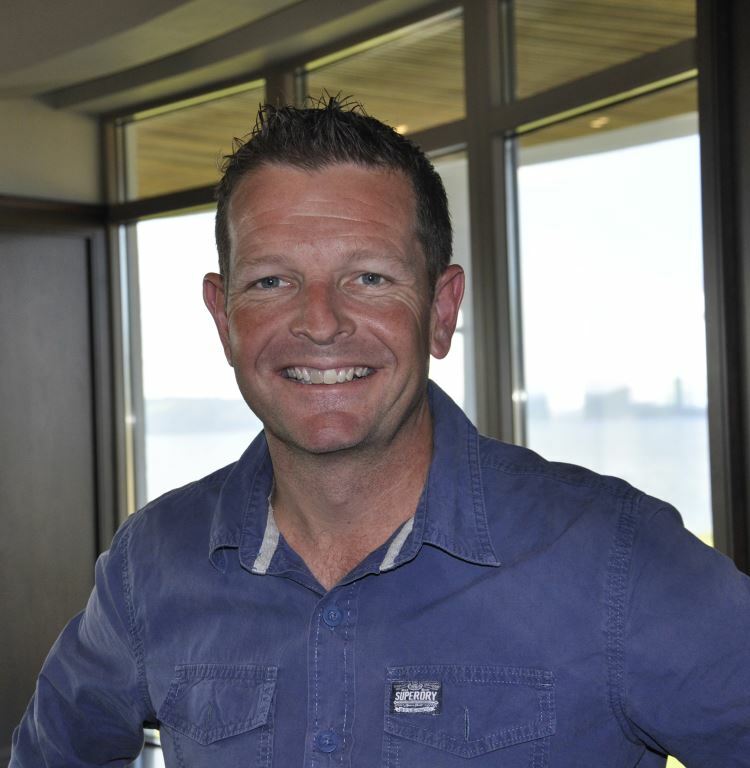 In his role as Fleet Manager for the contract, Koekemoer divides his time between Emirates Golf Club and Dubai Creek Golf and Yacht Club. At Dubai Creek, he reports to Golf Course Superintendent, Matthew Perry and at the Emirates he reports to Haldane. “Matt and I consider Marinus as an integral part of our team and we communicate as you would with your equipment manager at any other facility. To us, this role is key. Say what you like, but without a well maintained fleet of equipment and a neat and tidy workshop, you can’t produce the goods out on the course. The PGA European Tour sanctioned Omega Dubai Desert Classic and the Omega Dubai Ladies’ Masters at Emirates Golf Club are extremely prestigious and high-profile events. Hosting these events can be challenging, but having a clear plan that is communicated and understood by every member of the team ensures that the job gets done. “Planning is the key! It’s as simple as that. Hosting events can be very challenging, but if you plan well and manage expectations clearly and effectively, the task becomes most enjoyable. “We over-seed the course for the winter season and the planning for this process begins directly behind the tournament itself. We obtain our seed from abroad, so need to ensure we have our orders confirmed and in place right away. We deal with transition in late May and throughout the month of June, when the cool season grasses die back and we encourage our warm season Bermuda grasses to return. This process is followed by our annual aeration schedules for the season, which is a key management process in preparing the turf for the season ahead. “For the two events we really fine tune our practices so that we peak at the right time. The challenge is in not taking things too far in the first event, so that we have recovery time for our second, which is as little as five weeks later. The heights of cut for the tournaments vary only slightly from normal practices. However, the frequency of cuts changes dramatically with many more mowing events on greens in particular leading up the event and during the event itself. It involves multiple cuts, multiple times a day so that the team can manage growth rates and clipping yields resulting in more consistent surfaces for the entire day. “Our typical tournament heights on greens are 2.8 to 3mm, approaches and tees 5 to 7mm and fairways 7 to 9mm. We introduce two cuts of rough at 32mm and 64mm and maintain all the rough to 64mm until the week of the tournament when we do our final cut on the Sunday and leave it for the remainder of the week,” he added. “The two most important aspects when it comes to this area is trueness of ball roll and firmness of surfaces. Green speed will come as a result of these two being on point. The weather plays an important role here too and during the event there is a weather team keeping an eye on things, in particular, wind. By the practice rounds you want the greens performing as they will for the entire week. The key is managing the greens so that they are consistent for the entire seven days, with very slight increases expected over the weekend. You don’t want to lose more than 4 to 6 inches through the entire day of play, and this is the challenge. “Over the years we have run speeds from 11.5 through to 14 as it is really dependent on how healthy you are going into the event, the conditions the week of the tournament and feedback from the players themselves. The tournament director, chief referee, the European Tour’s consulting greenkeeper (Graham MacNiven) and I meet throughout the day and agree our targets. It’s my job to ensure they are met and I do this my adjusting my mowing, rolling and irrigation regimes to suite. As I said before, trueness and firmness always come first. We never sacrifice greens for speed! Next time Craig Haldane talks about his Jacobsen turf equipment and GEO certification, while Marinus Koekemoer, Desert Turfcare’s Fleet Manager for the Dubai Golf contract, explains how they prepare for two of the region’s major golf tournaments.